You can apply for a marriage licence online! 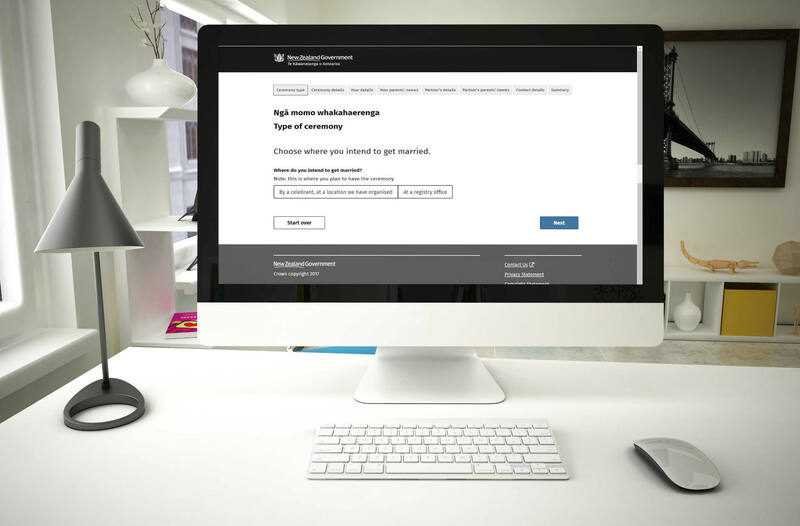 The New Zealand Government website now enables couples to apply for their marriage licence online. Not only an easier option, but it also means you are able to start the application process in advance. This is especially useful for those couples coming from overseas. It is possible to arrange a marriage licence up to 3 months before your big day. But you must have it fully submitted at least 3 working days before. Allowing time is favorable! If you’re being married by a celebrant, you’ll need their name and the location and approximate date of the wedding when you apply. You are still able to use the paper process if preferred. However, the online application is easy to follow and the website has all relevant information. It is important to note that submitting the application is only the first step to obtain your marriage licence. Please read below the process for after the application is file online, to ensure you have adequate time for processing. Your licence will not be available to take with you immediately. Allow at least 3 working days for processing and issuing.